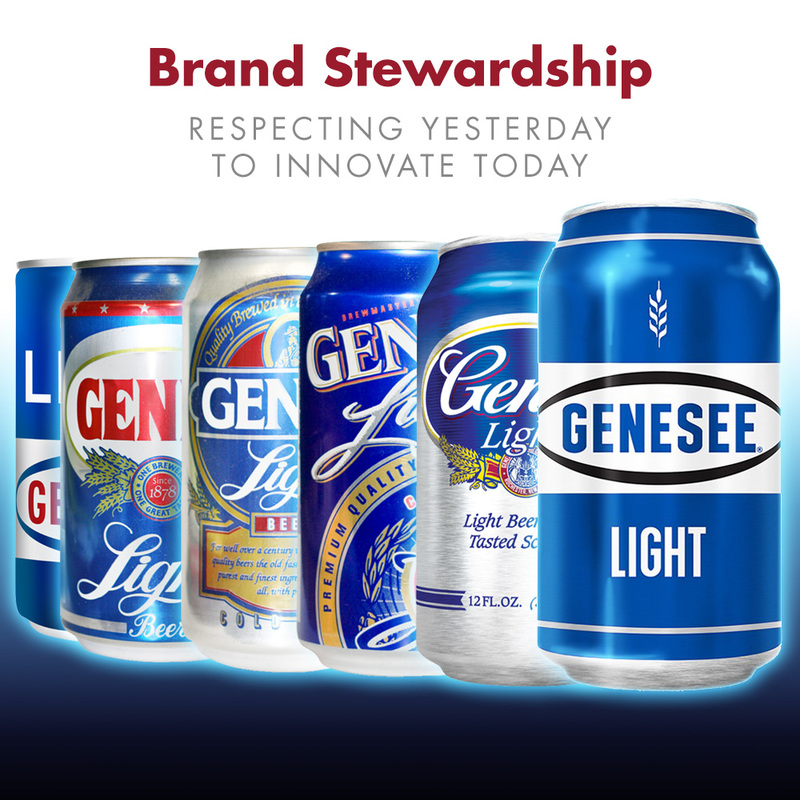 The Genesee Brewing Company has gone through countless iterations of branding to meet growing and changing market tastes, always having strong local and regional appeal. Mirus Group has been with the brewery for well over a decade, helping to forge some of its strongest brand connections to consumers. We're probably missing a few things in there, but you get the pitcher - er, picture.